It must be the season because another Early Production active equalizer turned up to be repaired! 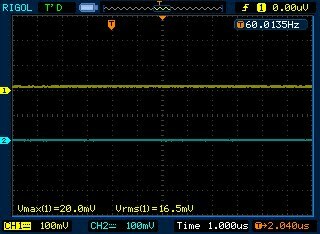 This is the earliest equalizer I’ve yet seen, too: Serial 1056. It’s in for the standard overhaul to replace long since failed capacitors and out of tolerance resistors (not to mention dead transistors in this case). It also uses an early style radial lead package for the 0.015 uF signal capacitors I hadn’t encountered before, which were looking pretty ratty by now. 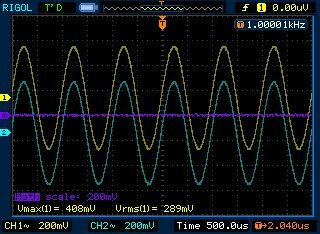 Seeing the mystery-package transistors in this equalizer explains which component the Zener diodes in the previous really were. The wiring was all the same color for each channel on this model. Later in the series, each switch position had its own color with a stripe indicating the channel. Here I’ve replaced the resistors and capacitors with their replacements, including the upgraded output capacitors. I’m using premium audio capacitors designed for low distortion and with a very low dissipation factor – up to 100x smaller than the electrolytic output capacitors from the factory. These sound excellent even when stock, of course, but when fed with the right source material the improved capacitors are a noticeable difference. Quite a few of the transistors had failed in this one as well. I can’t get a good photo of the failure, but the seal between where the lead enters the ceramic body of the transistor is discolored in quite a few places. Unsurprisingly, it was quite dead when I tried it out. This wasn’t unexpected but I’m always curious how well the equipment ages when in storage. I replaced the signal transistors with new 2N3393 in TO-92 cases, and the transistors wired as Zener diodes with a 1N4736. The new transistors have a different basing, however, so they sit 45 degrees offset compared to the originals. I’ve also added pigtail RCA jacks out the rear sockets. This fully reversible modification preserves the original hardware but allows you to connect to most new RCA cables with thicker shielding. The original jacks were pass-through panel mounted, so the new cabling just goes right through the original hole perfectly. This one looks great, and sounds fantastic. These Series I Active Equalizers are 38-42 years old at this point on their original components and are well into failure, and with this rebuild it’s going to serve reliably for years to come. If your Bose 901 Active Equalizer needs repaired, I can help! This entry was posted in Audio, Bose, Electronics, Projects, Vintage and tagged Active Equalizer, Bose, Bose 901, capacitor replacement, repair, Series 1, vintage. Bookmark the permalink.